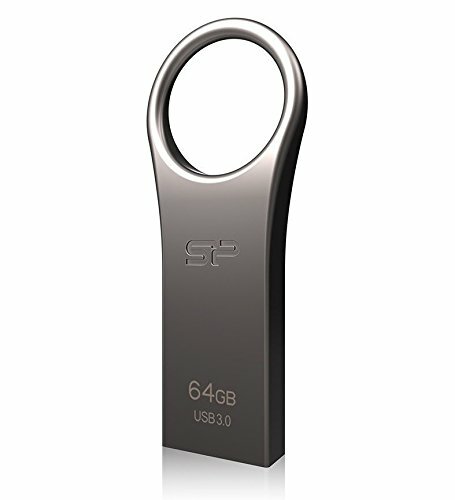 Jewel J80 is a USB 3.0 flash drive that incorporates functionality and capability in a superb design. Jewel J80 stands out by its exquisite zinc alloy metal casing and its elegant titanium color. It features an ergonomic circular shape design at the end of the drive that allows more comfortable usage and grasp, it can be perfectly fitted on a key chain or in a bag holder. Equipped with a Super Speed USB 3.0 interface, Jewel J80 enables a blazing fast data transfer that meets the demands for high speed and real efficiency. Jewel J80 utilizes the advanced Chip on Board (COB) packaging technology, making it waterproof, shockproof and dust proof. Jewel J80 comes with a life time warranty, SP Widget application software which provides seven major back up and Recuva recovery tool.